Virgin Media has announced a new type of “quad-play” bundle that will combine TV, phone, broadband, and mobile. Virgin will become the first company in the UK to offer such a bundle, since mobile service is usually left out. With a few different plans to choose from–all of which are named things like Big Kaguna and Big Bang–customers in the UK can receive all four services starting at $50 per month. For the most part, Virgin Media’s new quad-play offering is about simplicity rather than performance. At a low price point, families and individuals can now get all of their essential services in one bundle, making things far easier than dealing with a bunch of separate bills. However, not everyone will like this sort of offer. Even though there don’t appear to be many (if any) limitations when dealing with regular phone, broadband, and internet service, customers are limited when it comes to mobile service. Unlimited calls and texts will be offered as part of the plans, but customers won’t be able to get unlimited data. Unlimited data is still only available to VIP tariff customers, and that sort of plan has not been transferred over and included in the quad-play bundles. Virgin Media seemingly came from behind to announce quad-play and get into the bundle market before other companies in the UK. It had previously been expected that BT or BSkyB would become the first company to offer a bundle that includes the home and mobile services. However, even though Virgin is beating them to it, the other players could end up competing against quad-play. BT signed a deal with EE in 2013 to secure its own 4G mobile network offering, but little has come of that so far. Virgin was likely able to move ahead of its UK competitors because it is not relying on acquisitions or partnerships to offer quad-play. Instead, it is simply combining two different divisions of the company. Summary: Virgin Media has announced its new quad-play bundles. These bundles will combine broadband, phone, TV, and mobile. 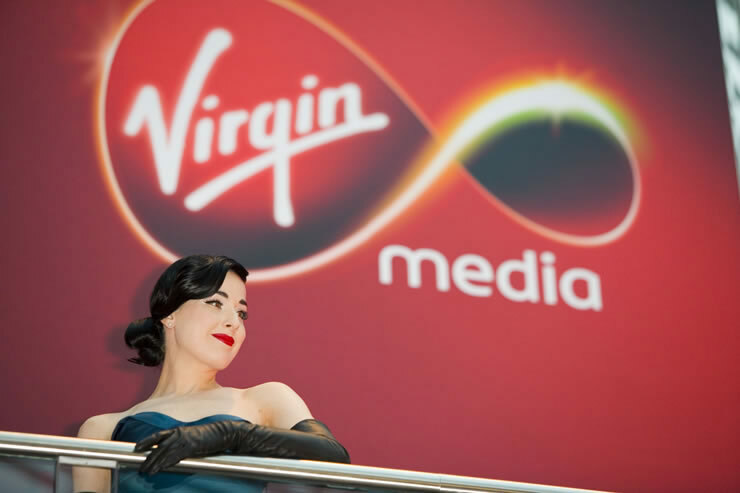 Virgin will be the first UK company to combine home and mobile services.